MILAN -- Lamborghini is upending tradition with a new sport-utility vehicle, joining Bentley and Maserati in super-sizing their supercars to make more of a mark in China. 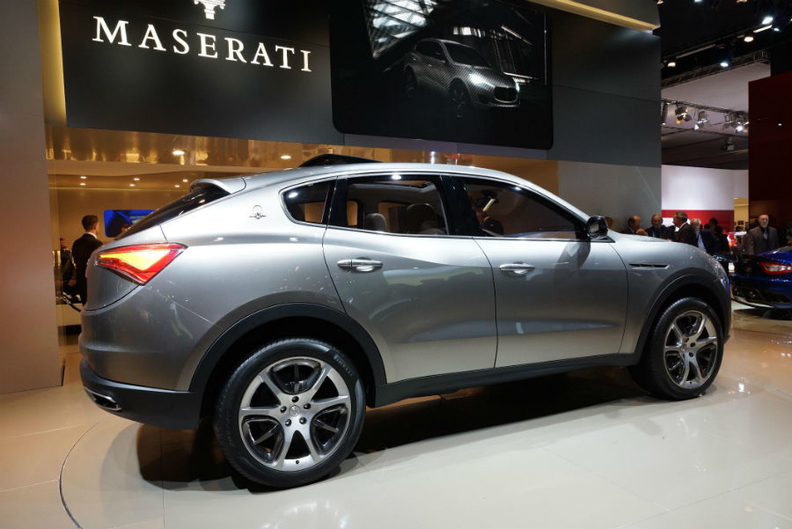 The Italian sports-car maker will unveil an SUV study at the Beijing Auto Show in April, nearly two decades after discontinuing the so-called Rambo Lambo military vehicle, said a person familiar with the company's plans. A production version may be available by 2016, said the person, who declined to be identified before the public announcement. "Chinese customers love their big cars," Christian Mastro, Lamborghini's general manager for the Asia-Pacific region, said in a phone interview. "All the brands are making cars more specific for the Chinese market." Bentley will display its own SUV concept at the Geneva auto show next month, a person familiar with the matter said. The model may roll into showrooms by 2015 if parent Volkswagen Group approves the project this year. Bentley and Lamborghini, also owned by VW Group, are playing catch-up. Fiat's Maserati will start production in 2013 of a Jeep-based SUV, currently called the Kubang, while Ferrari last year added the 260,000-euro ($344,000) FF family car, its largest model. The moves reflect a shift east, breaking with traditions developed in Europe in pursuit of a new class of wealthy consumers in countries like China and Russia. The cars will be available globally, with China the target market. "Luxury cars are at the top of the consumption desires of rich Chinese," said Giuliano Noci, vice rector for the China campus of Milan Polytechnic. Since wealthy Chinese consumers have a limited history with the European brands, "the luxury-car makers can dare something new." Maserati's SUV was previewed at the 2011 Frankfurt auto show as the Kubang concept, shown. Sales of ultra-luxury cars may almost double in China to 8,100 vehicles and surge more than five times in Russia to 500 by 2015, according to IHS Automotive. That growth rate compares with a 21 percent increase in Europe to 11,700 cars over the same period. Even with the growth of the Chinese luxury market slowing this year, the automakers see long-term benefits. The shift by Maserati, Bentley and Lamborghini to SUVs replicates Porsche's strategy. The maker of the 911 sports car departed from its roots when it rolled out the $48,200 Cayenne in 2002. Porsche now relies on the SUV for half its deliveries. The model has a waiting list of about a year in China. After expanding with the $75,200 Panamera four-door coupe in 2009, Porsche will add the Macan, a compact SUV in 2013. Deliveries of luxury SUVs, including the Cayenne and Mercedes-Benz GL-Class, are forecast to climb 49 percent in China to 265,200 in 2015, almost three times the 18 percent growth in global demand for those vehicles, according to IHS. "SUVs are just a great interest for a lot of people, because of the driving position -- above everyone else -- and also the road conditions in some fast-growing economies," said Ian Fletcher, a London-based analyst with IHS. The segment is also profitable because the additional space and comfort command higher prices, while development costs are kept in check by borrowing technology from other models, said Fletcher. Bentley and Lamborghini can use parts developed by Volkswagen, copying Porsche's strategy with the Cayenne, while Maserati can rely on Fiat's resources. 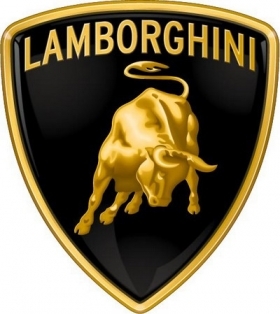 Lamborghini will have "something to show: at the Beijing auto fair, said Mastro, declining to elaborate. The Italian supercar maker discontinued the boxy LM002 SUV, the Rambo Lambo, in 1993 after a failed effort to make military vehicles. ''With an SUV, there is a great chance in the emerging markets,'' said Rolf Frech, head of engineering at Bentley, who moved from Porsche in November after 28 years. ''The basis is to make Bentley a sustainable business case, which is the same as we did at Porsche,'' which had focused on sports cars before the Cayenne. Bentley plans to position its SUV above the top-of-line Cayenne Turbo, with a price tag of more than $140,000, Bentley chief Wolfgang Duerheimer said in January. The company is also expanding its lineup by adding a eight-cylinder engine to the Continental coupe. Bentley says the down-sized model is aimed at a younger, edgier clientele. It starts at 136,000 euros, compared with 154,600 for the existing 12-cylinder version. Still, the expansion into SUVs doesn't appeal to traditionalists like Ronald Venn, 67, a three-time Bentley owner from London. ''I wouldn't be interested in an SUV from Bentley -- I'd go to Range Rover," said Venn, who runs a security equipment supply business. "They'd screw up their image for me. I go to Bentley for a luxury limousine. I just love the comfort of them, the power, and the ostentatiousness of the engine." Chinese customers may have a different approach. Bill Liu, 26, who runs a real estate company in Shanghai and owns a Range Rover Evoque and five sports cars, including a $1 million gray Lamborghini Aventador, paid twice as much for his Aventador as a U.S. buyer would because of China's import taxes, is ready for something new. Liu said he would consider a luxury SUV "but the car has to be practical and not exorbitantly priced."